Helping children's charities around the world. Cakes4Cause, a non-profit organization founded in 2008 by Scarsdale residents Carolina and Nico Stainfeld, aims to make life a little bit sweeter for everyone. We bake and sell delicious cakes for people in the Tri-State area to enjoy, and with the money we raise, we support initiatives that help improve the lives of children around the world. Since 2008, we have raised and donated over $50,000! For more information on who we have donated to please check out the Charities section of our website. Support the cause by purchasing cakes and making donations. 100% of your money will go directly to a charity that aids children around the world. Discover the various charities that our organization aims to support through your generous donations. All of them are nationally recognized. 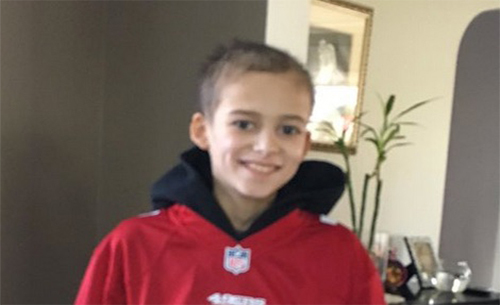 Our 2016 Valentine's Day Drive honored the life of Paul Ulysses Jimenez, aged 10 and a 5th grader at Greenacres Elementary School in Scarsdale, NY. Paul lost his battle with pediatric cancer on January 5th, 2016. Your support allowed us to donate $5,000 to the Pediatric Oncology Team at Memorial Sloan Cancer Center. Our thoughts continue to be with his friends, family, and community. The winter holiday period is meant to be a time spent with loved ones, friends, and family. Unfortunately, many children are unable to experience this. The Pleasantville Cottage School in Pleastantville, NY is home to emotionally troubled boys and girls aged 7-16 who, for various reasons, are unable to be with their families. This past Christmas the Cakes4Cause team visited for the fifth year running, bringing presents, games, and heart-warming food to the residents of the Pleasantville Cottage School.